It has been confirmed two new cases of the fatal degenerative disease disease. After almost two months of state felling of wild goose in Nordfjella, 531 animals were shot. Five of these were infected with scarcity. The new case was discovered on two adult simples, and the findings were made in both brain tissue and lymph nodes. In total, twelve cases of erectile dysfunction have now been discovered in the area since 2016. 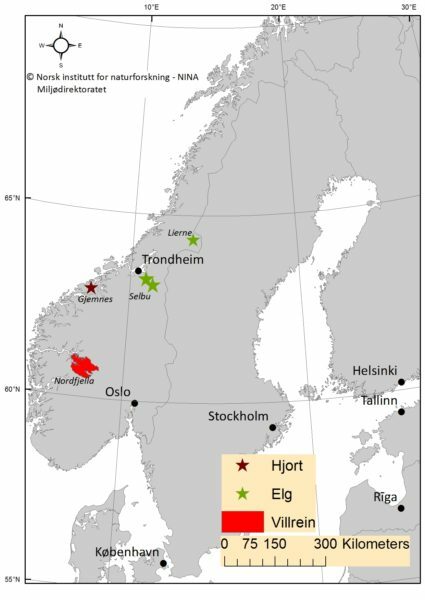 In addition, four cases of another variant of the disease on elk and deer, in Trøndelag and in Møre og Romsdal have been discovered. "Until now, approximately one third of the reindeer in Nordfjella has been taken out, so the fall goes according to plan. The number of ill animals is as expected and this confirms that the decision to remove the flock is both correct and important, says Julie Enebo Grimstad, Senior Adviser and Veterinarian, at Section Animal Health in Mattilsynet. The villages in Nordfjella will be taken to prevent the spread of scanty disease. Animal disease exposes the animals that are infected with severe disorders until they end up. The Norwegian National Inspectorate has the regimen of the state withdrawal that has taken place since the beginning of November, and the Norwegian Food Safety Authority is responsible for sampling and infection management. The reindeer fields are transported down from the mountain to a base area where sample material is taken. Samples of all animals are collected and the samples are analyzed by the Veterinary Institute. There is now a break in the fall until the new year.